RS Mines proudly presents its Natural 99%+ Crystalline Vein Graphite 7 micron aps powder which undergoes very little processing, once taken straight from the graphite vein, it is the most perfect graphite form available in the world. When compared to (Synthetic) and (Synthetic/Natural Mix) its properties are superior, higher surface area, and more importantly its electrical capabilities are phenomenal. With few impurities and defects our product is of the highest quality and can be incorporated into your formulations with minimum applied shear, presented in a glass jar or vacuum sealed bag. Other superior characteristics include corrosion resistance applications, lower density than copper however still has an extremely high current density, this are due to the high occurrences of sp2 carbons, allowing for stronger and more stable bonds, when integrating into your applications. 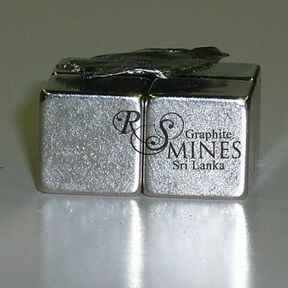 RS Mines provides its natural 99%+ crystalline vein graphite in chip and lump or micron powder form. Graphite is the crystalline form of carbon, it is steel-grey to black in colour and characterised by its extreme softness and greasy touch. 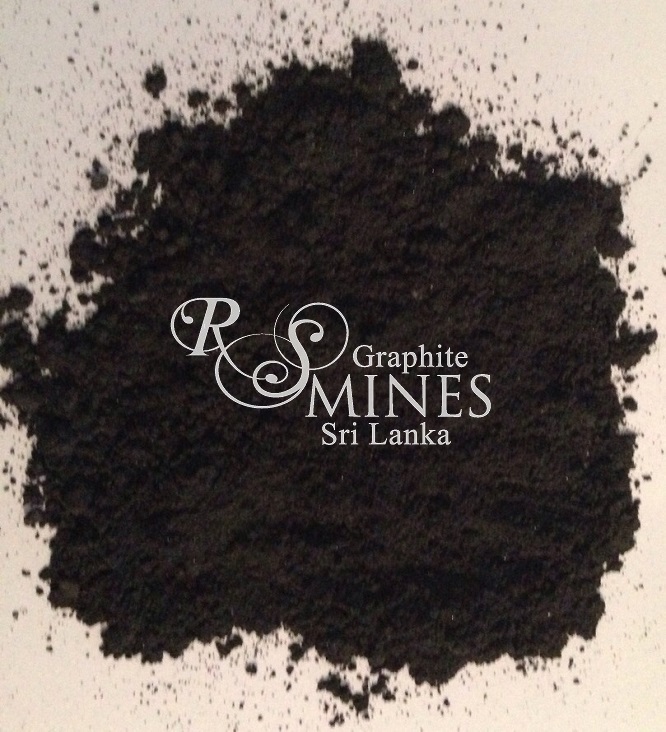 Sri Lankan graphite has highly unique characteristics which include high electrical and heat conductivity levels, high refractoriness, and high chemical inertness. These unique characteristics have caused Sri Lankan graphite to command a natural monopoly in the market. Due to the unique properties of the natural high purity crystalline vein graphite extracted from the Queen’s Mine in Sri Lanka, make it suitable for a wide range of applications and industrial applications due to its unique properties of grainability and high carbon purity content. Lubricants and release agents, greases, dry film coating, packing and seals, powder metal parts. Friction modifiers for brake linings clutch facings, coatings, and carbon brushes. High electrical conductivity allows Sri Lankan natural high purity crystalline vein graphite to be used in dry cell batteries, conductive plastics, conductive coatings, paints, carbon brushes, and TV tube coatings. Its high thermal conductivity allows for uses in refractory bricks, refectory plastics, crucibles, and model coatings. The high carbon content makes excellent additions to molten iron and steel, iron powder metal parts, hot top compounds, metal covers, chemical inertness, rubber packing and seals, ceramic seals, carbon and graphite seals. Molecular structure of Sri Lankan natural high purity crystalline vein graphite allows for graphite foils to be created for use in nuclear moderator reactors. In terms of energy storage Sri Lankan graphite is used in the production of fuel cells, and lithium ion batteries. In aerospace technology Sri Lankan natural high purity crystalline vein graphite is made into a graphite cloth a fabric made by embodying carbon fibres in plastic bonding materials is used in layers as a substitute for sheet metal in the construction of air craft wings. Due to the inertness of Sri Lankan natural high purity crystalline vein graphite it is ideal for modern medical applications such as implants heart values and hip and knee ligament replacement as it does not react with host environment. With the new understanding of graphene, Sri Lankan natural high purity crystalline vein graphite due to its high purity levels is the best material to produce defect free graphene, this development further opens the applications into fields of nano technology, supercapacitors, quick charge and long discharge batteries, highly efficient solar cells, and flexible touch screens.